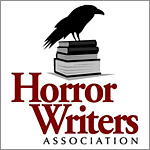 Have you found an excellent writer resource or submission opportunity? Is there an amazing writercon in your area? Tell me about it! I search through a few literary submission sites to find good opportunities to share each week and would like to start including reader submitted suggestions. If you know of anything you think the creative community should know, please submit it to me via the contact form here. This links to the contact form tab at the top of this page. I can’t guarantee I will share everything, but I will share all I can.